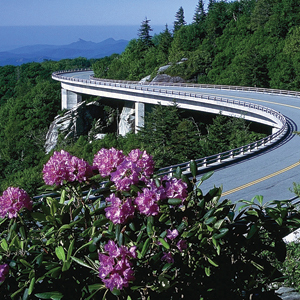 The Blue Ridge Parkway is “America’s Favorite Drive.” Running for 469 miles that link Shenandoah National Park in Virginia to Great Smoky Mountains National Park on the border of North Carolina and Tennessee, the magnificent mountain vistas seem endless. The speed limit on the Parkway averages 45 mph (a little less in some places). While staying at Chetola, it’s just a short drive to the Linn Cove Viaduct, which was completed in 1987 after being under construction for 52 years. The viaduct, built at an elevation of 4,100 feet, is considered an engineering marvel and was often referred to as the Parkway’s “missing link.” The Parkway closes during adverse weather conditions such as snow, ice and fog. There is no snow removal on the parkway, so please use your best judgment before venturing out for a drive. The Parkway’s information line has an update of road closures and conditions. Grandfather Mountain, the highest peak in the Blue Ridge, is the only private park in the world designated by the United Nations as an International Biosphere Reserve. Located about 14 miles from Chetola via the Blue Ridge Parkway, the price of an admission ticket entitles visitors to experience all attractions within the park, including the Mile High Swinging Bridge (5,305 feet elevation); environmental habitats for black bears, river otters, cougars, eagles and bear cubs; the nature museum; more than 12 miles of maintained hiking trails; and an indoor theatre featuring nature movies filmed within the environs of Grandfather Mountain. 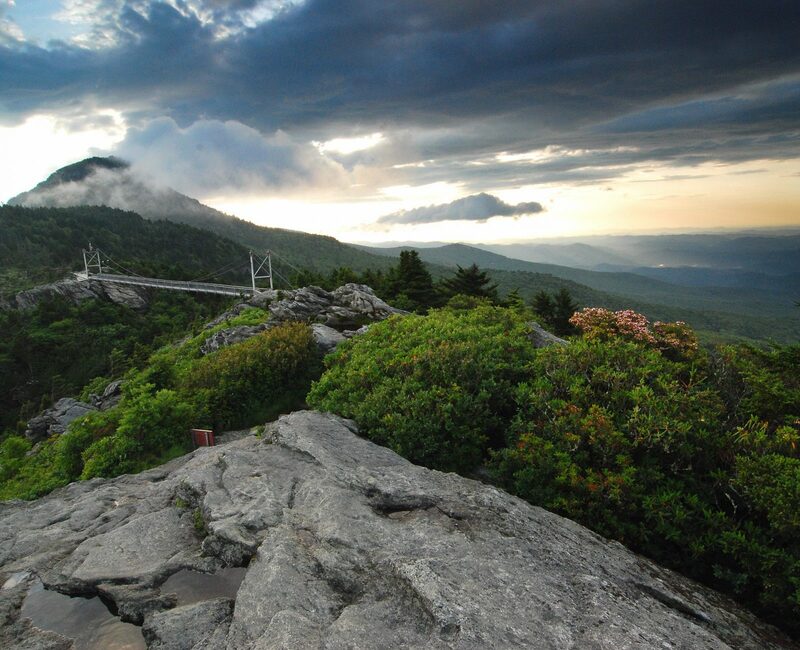 The highest peak at Grandfather Mountain is 5,964 feet. Several events take place at Grandfather. 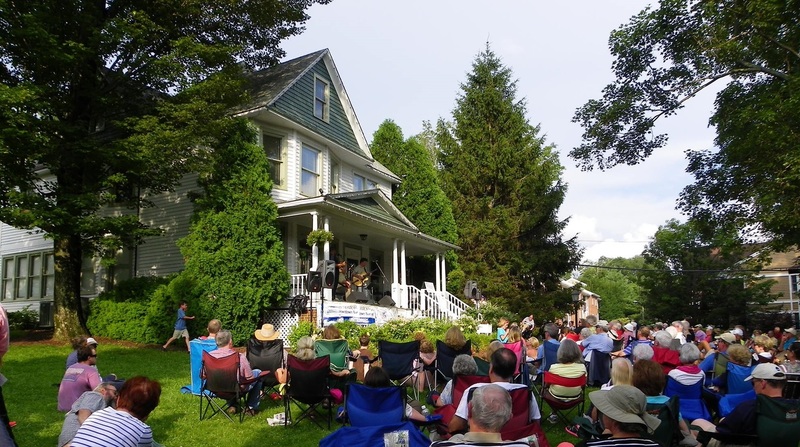 including the Grandfather Mountain Highland Games in July, Singing on the Mountain all-day gospel sing-along (late June), and the professional and amateur camera clinic (late August). Open daily, weather permitting, except major holidays. 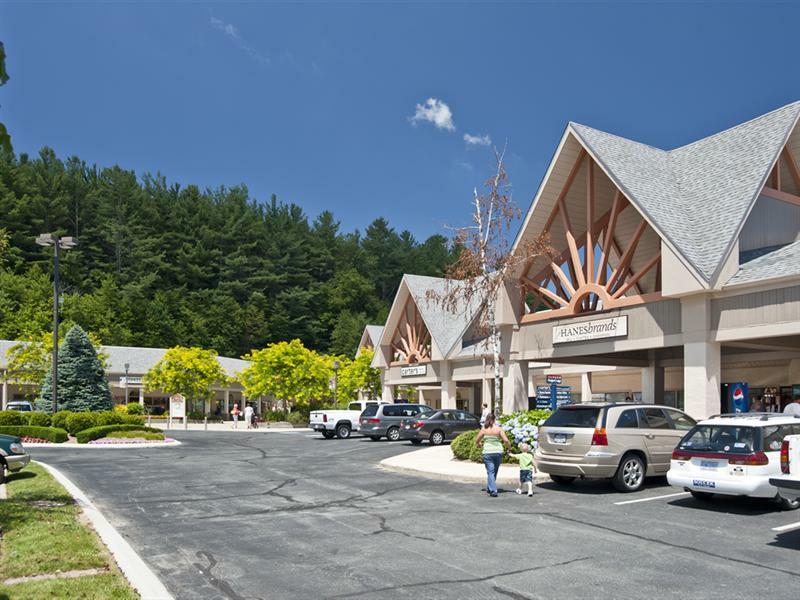 Located just a few steps from Chetola, Tanger Shoppes on the Parkway is an upscale outlet center with more than 30 brand name stores. Stores include Banana Republic Factory Store, J.Crew, Anne Taylor Loft, Chico's, Polo Ralph Lauren, OshKosh, Gap and the Coach Factory Store. PJ's Almost World Famous Cheeseburgers is open daily, and Kilwins serves up its famous homemade fudge, ice cream and confections. 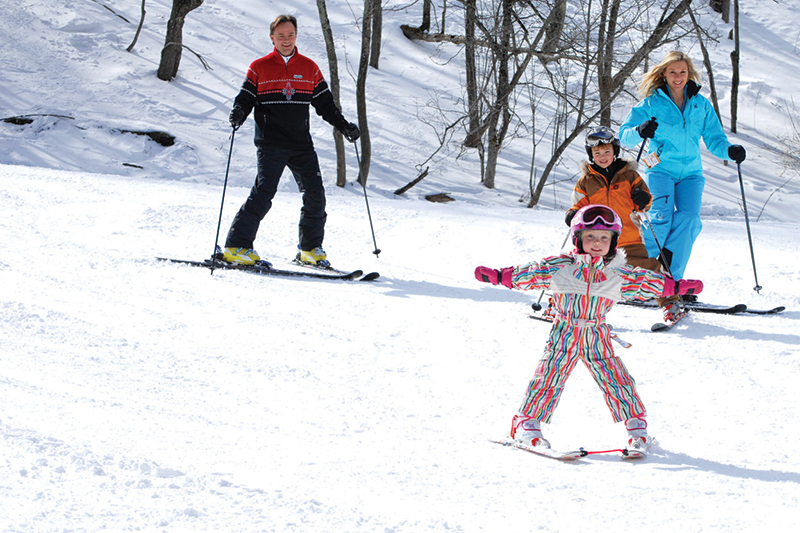 Located just five minutes from Chetola Resort, Appalachian Ski Mountain is the ideal winter getaway for skiers of all ages and abilities. The French Swiss Ski College at Appalachian has taught ski instruction to more than a million people. It is the Southeast’s oldest and most well known school teaching both skiing and snowboarding. The mountain has a 46,000-square-foot Base Lodge plus a nursery and two terrain parks. The terrain parks were voted the #1 parks in the southeast by a skisoutheast.com visitor's poll. Guests will love the Appalachian Ice Skating Arena featuring an outdoor refrigerated ice floor. Appalachian Ski Mountain is open from Thanksgiving weekend through March (always check before going). Ski and Stay Packages at Chetola are offered through Appalachian Ski Mountain’s website and toll free number. 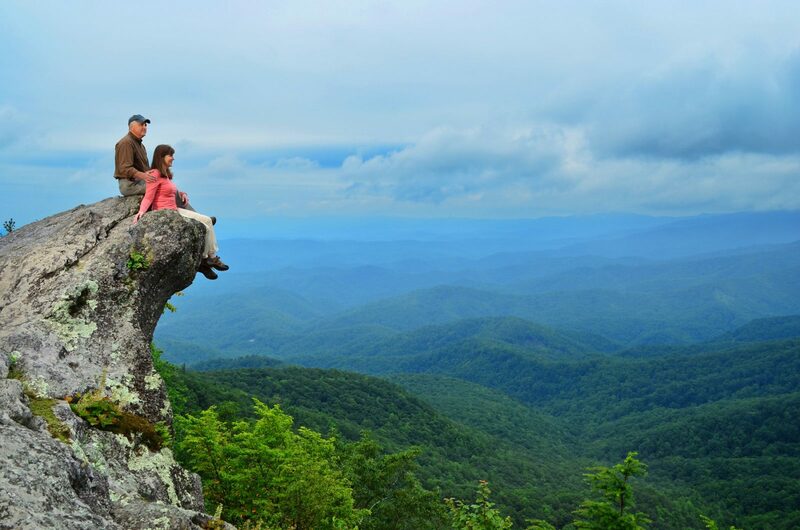 The Blowing Rock is an immense cliff 4,000 feet above sea level, overhanging Johns River Gorge 3,000 feet below. The phenomenon is so called because the rocky walls of the gorge form a flume through which the northwest wind sweeps with such force that it returns light objects cast over the void. The current of air flowing upward from The Rock prompted the Ripley’s “Believe-It-Or-Not” cartoon about “the only place in the world where snow falls upside down.” Visible from “The Rock” down the gorge to the southwest are Hawksbill Mountain and Table Rock. To the west are Grandfather Mountain (the highest peak in the Blue Ridge chain) and Mount Mitchell (the highest peak east of the Mississippi). 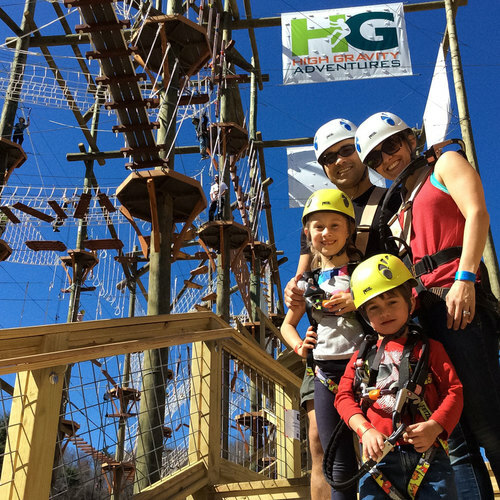 High Gravity Adventures is an outdoor aerial adventure park, allowing participants to climb through the air up to heights of 50 feet. HGA aerial park includes 70-plus different aerial challenges that range from 15 to 50 feet in the air. The aerial elements are diverse and will require different levels of physical and mental effort, but elements are available to match all skill levels -- from a fun kids course to challenging levels for teens and adults. 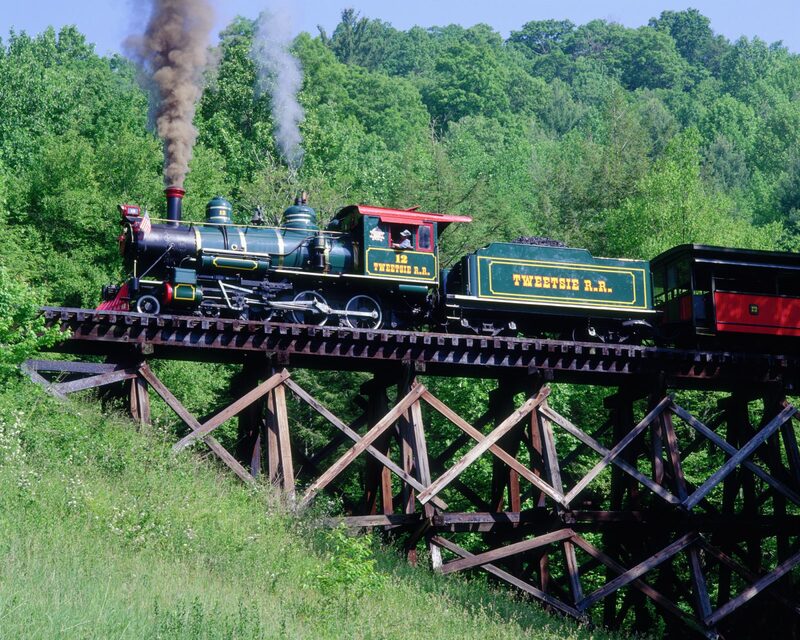 Located in Valle Crucis and Boone. 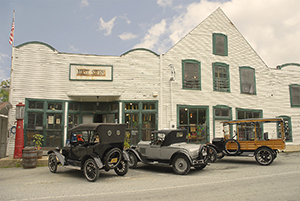 Established in 1883, the Mast General Store is listed on the Natural Register of Historic Places. For over 125 years, Mast has been outfitting Appalachians with mercantile goods, comfortable clothing, rugged footwear and quality outdoor gear. Charles Kuralt wrote about Mast Store in his book Charles Kuralt’s America. The original store, which still operates a local post office, features such staples as stoneground cornmeal, strapping workboots and real maple syrup. Both locations also feature casual clothing and outdoor wear by Woolrich, Royal Robbins, Columbia, North Face and a variety of other excellent brands. The Candy Barrel, which features a huge variety of “retro” candies, has locations in the Boone and Valle Crucis stores. Open year round. BRAHM is the culmination of a labor of love that began in 1999, when the work of early 20th-century artist Elliott Daingerfield was first offered as the cultural foundation of the state-of-the-art 23,000-square-foot field stone and cedar shake facility. 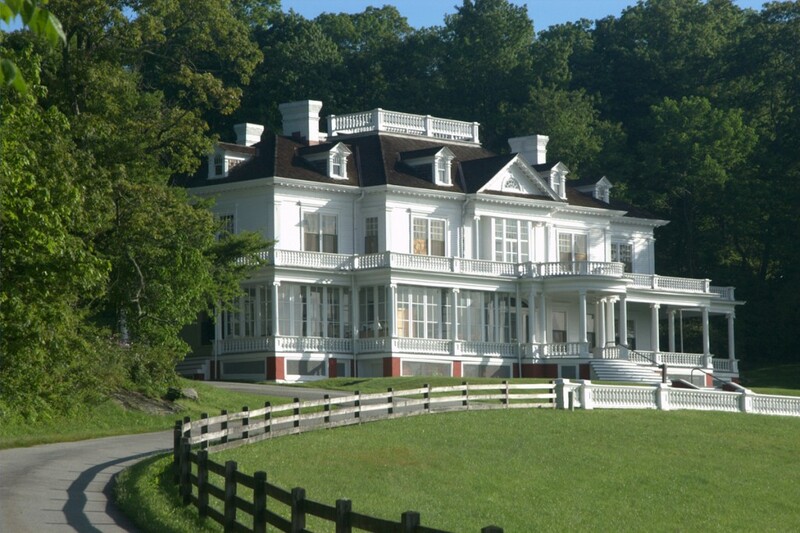 Taking its inspiration from Daingerfield, who, enchanted by the region’s natural beauty, spent 46 summers in Blowing Rock and built three homes in the area – Edgewood Cottage, Windwood and the Greek Revival mansion that is now Westglow Spa – BRAHM will display both permanent collections and rotating exhibits, all of which promote the visual arts, history and heritage of the mountains. Open year-round. Free parking is available in the deck adjacent to the museum. Located right off the Blue Ridge Parkway at milepost 316.3, Linville Falls is operated by the National Park Service. Two main trails lead to the lower and upper falls. Erwins View Trail is a moderate walk of 1.6 miles round-trip from the Linville Falls Visitor’s Center and offers hikers four different overlooks. At the end of Erwins View Trail, hikers can enjoy a panoramic view of Linville Gorge and a distant view of the upper and lower falls. 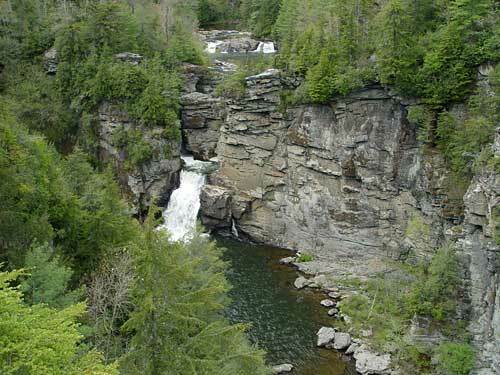 Linville Falls is open year round from dawn to dusk. The caverns were discovered in the 1800s by men intrigued by fish swimming out of the mountain. That mystery is still alive today. Slowly moving ground water created this maze of underground labyrinths. The water carved out an unusual series of rooms and passages. The caverns opened to visitors in 1939. Throughout time there have been many legends and fascinating events surrounding this geologic wonder, and you will be fascinated as you learn about them. 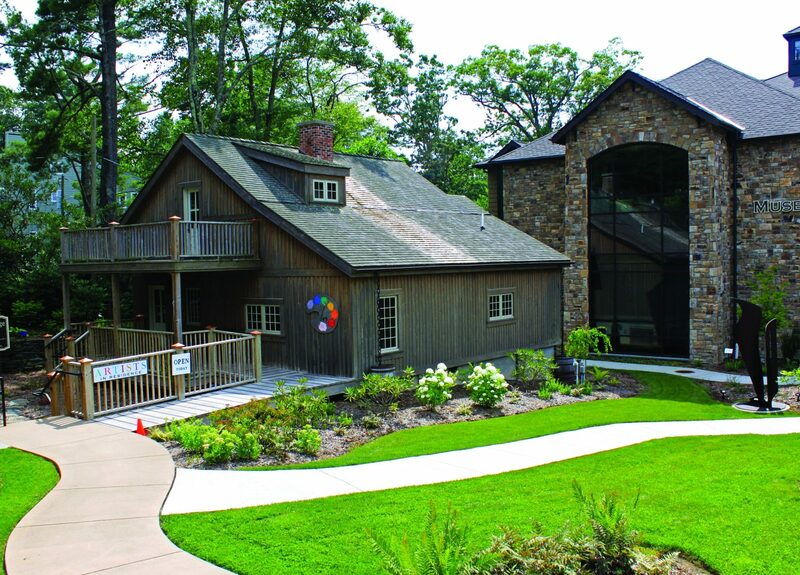 The caverns are open daily from March through November. 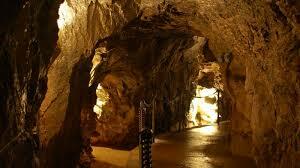 During the winter months the caverns are open on weekends. Located about 35 miles from Chetola on Hwy 221, Linville.